The San Francisco Jewish Film Festival has perfected the art of keeping you so entertained that you don’t notice you’re being educated in the process. 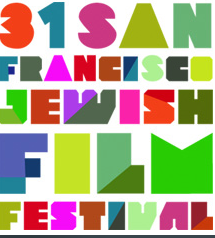 You don’t have to be a Jew to enjoy the 31st annual SFJFF. In 2010 the festival explored the role of Jews in popular culture, including a wonderfully curated collection of gangster films. 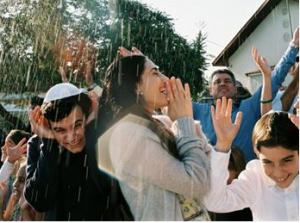 This year the SFJFF gets personal with musings on Jewish identity. Just what does it mean to be a Jew in modern society? It’s not like there is a Jewish pope to represent his people and expound on how Jews should feel and think. There is no official position on anything and that’s what makes the subject so compelling. Of course there are always be the stereotypes to deal with. 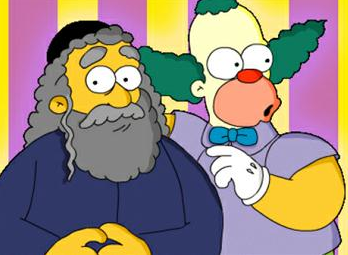 The Jews in Toons program takes the stereotypes and leaves you with happy tears. I urge you to hunt down the following classic Jewish episodes from the small screen. Family Guy: “When You Wish Upon A Weinstein.”, South Park: “The Passion Of The Jew”, and The Simpsons” “Like Father, Like Clown”. Thirty minutes of laughter a day is said to relieve feelings of depression, strengthen the immune system, lower blood pressure and give the equivalent of a cardio workout. As a Jew I can attest to the Jewish family tendency to keep you spirits high with dark humor no matter what the challenge. Back to the serious side. Mabul is one of the emotionally heaviest opening night films i’ve ever seen at the SFJFF. Best to know that in advance, you’re in for a night of contemplation and hopefully relief that your life doesn’t mirror that of our lead actress. The story of Mabul (The Flood) takes place on the Israeli coast. Teacher Miri has to put up a brave front to keep her business alive. She creates an emotional island for herself by having an affair. Her husband Gidi pretends he’s going to work every day. Their son Yoni keeps the class bullies at bay by completing their homework assignments. All hell breaks loose when his autistic brother rejoins the family. An interesting aside is the assumption that it’s okay for her young son to act all macho and boss her around since I guess he’s a man in training. A great insight into the local mores. Have you ever wondered if anyone will remember J.K. Rowling in the next century? Hard to believe that Harry Potter could ever fade from the popular consciousness and require a promulgating documentary. 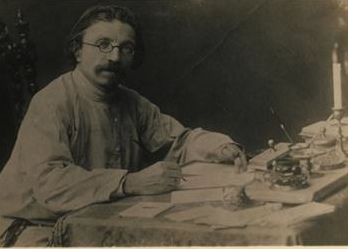 Case in point, Sholem Aleichem, the pen name of Solomon Naumovich Rabinovich, a renowned Yiddish author and playwright. His chosen name is a Yiddish variation the expression shalom aleichem, meaning “hello”, or “peace be with you” in Hebrew. The musical Fiddler on the Roof was based on one of his many stories about Tevye the Milkman. This was the first commercially successful English-language play about Jewish life in the shtetls of Eastern Europe. Born in 1859 in the Russia Empire, Solomon Rabinovich’s father was a rich merchant with a penchant for gambling. This led to the family’s economic downfall. Solomon grew up to mirror his father’s foibles and bring his own family to financial ruins several times. What he had going for him is his vast intelligence and passion to keep the Yiddish language alive. He used his insight into his own psychology to create characters that served as metaphors for larger Jewish cultural issues of assimilation and identity. Rabinovich’s granddaughter Bel Kaufman was the author of “Up the Down Staircase” , made into a popular film. Fleeing the Russian pograms and debtors his family finally settled in New York in 1914. An estimated 100,000 mourners turned out for his New York funeral in 1916. 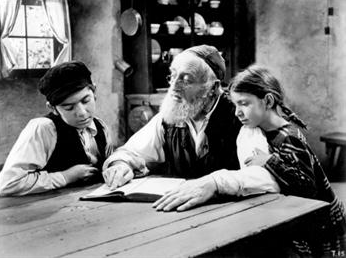 After learning so much about Sholem Aleichem it’s only natural to want to see Tevye, a 1939 film written from one of his Tevye the Dairyman stories. (aka: Fiddler on the Roof.) This 1939 Yiddish melodrama brought into focus the pre-holocaust era where anti-Jewish sentiment was running high. Clearly the author had struggled himself with the issue of how to uphold tradition in the face of social chaos. In Tevye, the Milkman’s personal values are tested when his daughter elopes with a gentile. 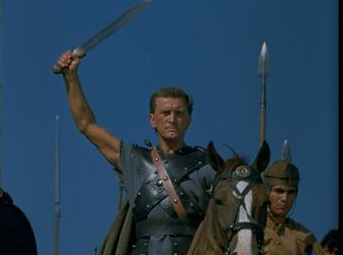 A Freedom of Expression Award was given to Kirk Douglas prior to a screening of Spartacus. Douglas played a gladiator who was leader of a slave revolution in pre-Christian Rome as only Stanley Kubrick could imagine. As the star and producer of Spartacus, By insisting that screen credit be given to blacklisted screenwriter Dalton Trumbo, Kirk Douglas effectively ended the Hollywood blacklist period of the late 1940s through the late 1950s. Hundred’s of careers were revived. Oh, and Spartacus went on to earn four Academy Awards. Take that House Committee on Un-American Activities. Check out this years selections from 16 countries with something for everyone. There are 58 films, including 38 documentaries, 19 shorts, and 28 premieres. Screening venues in San Francisco, Berkeley, San Rafael, and Palo Alto. If you don’t live nearby, keep an eye out for repeat viewings on the SFJFF YouTube page and of course mark you selections for the NetFlix queue.